The beginning of any motorsports season brings a fresh start, a new opportunity, or at least better equipment. And the MotoIQ Pacific Tuner Car Championship presented by Motul is no different. For Edik “Edo” Stepanyan, it didn't mean many changes. Better brakes, larger wheels, refreshed suspension and newer tires were what his car had changed besides a new paint job. M-Factory, who supplies his transmissions, also stepped up their sponsorship for his 2013 season in the DA Integra. New paintjob, new wheels, newer tire, could the changes lead to a 2013 Tuner Under Championship? Michele Abbate, the 2012 season Tuner Under champion, had a change of paint scheme and far more Scion presence. 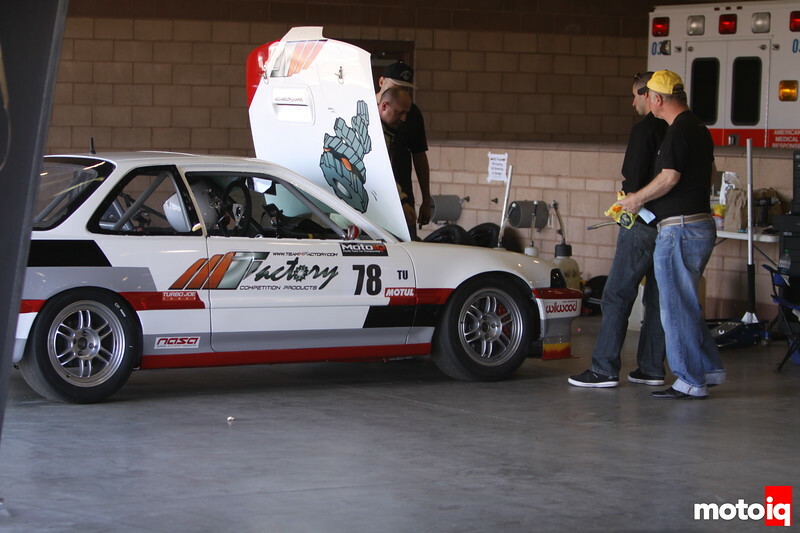 A film crew from Scion Racing were there to capture her every moment at Auto Club Raceway. Bright and loud, I don't think Michele Abbate and the Dynamic Autosports crew would have it any other way. Well, probably with a lighter car. Project G20 made a Round 1 appearance, but hadn't had much changed except the alternator problem from Sonoma last year. The problem didn't surface this weekend and the car ran relatively drama free. Well, the car did at least. 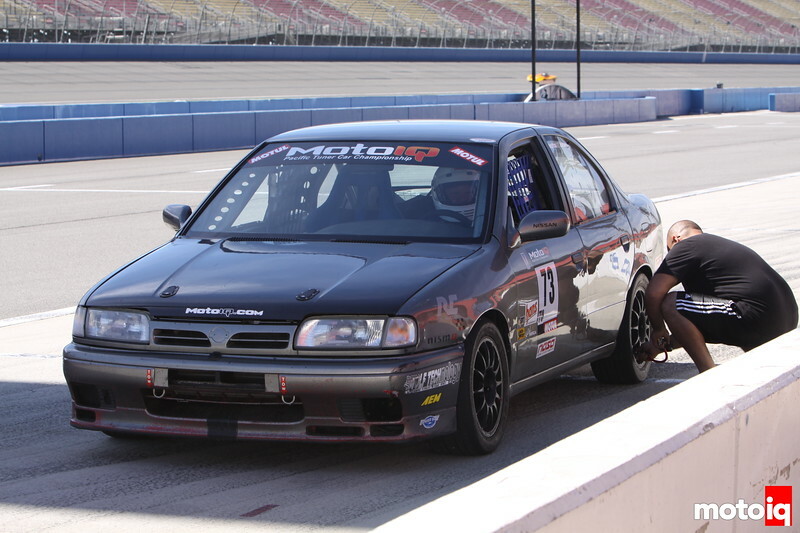 Steve Rockwood and Martin Gonzales of 70/30 Racing made it to round one of the MPTCC in the MotoIQ Project G20. While Steve blames his job for his lack of races in the MPTCC, we think it's just so the other competitors have a better chance against the awesome nerd power that is the G20. 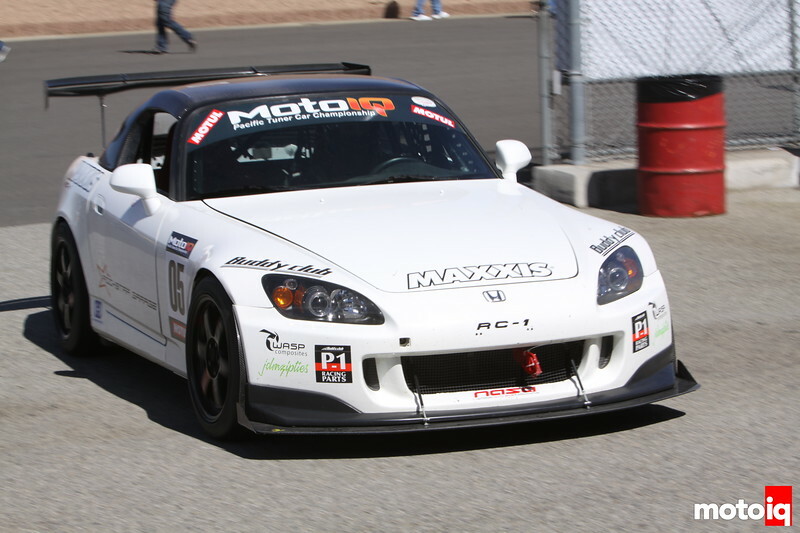 Making another appearance in the MPTCC, Justin Taylor and his Honda S2000 really showed off what the AP chassis still had in it. A new addition to this car from last year was the Buddy Club front brake kit. We last saw Justin Taylor here at Auto Club Speedway in 2012. He's now running new Buddy Club front brakes and Volk Racing TE37SL wheels. He looked strong last year and his times at Auto Club 1 show the same. The final new competitor to come to MPTCC was the APM Racing FR-S. Well, APM and Richie Ho are no strangers to the series, but the FR-S was making its MPTCC debut. It would be replacing the Honda RSX that served them well for many years. This is also the same FR-S that made its competition debut at the 25 Hours of Thunderhill and, save for some body repairs, was still in the same trim with minor adjustments for the 30 minute sprint racing, instead of the 25 hour endurance. 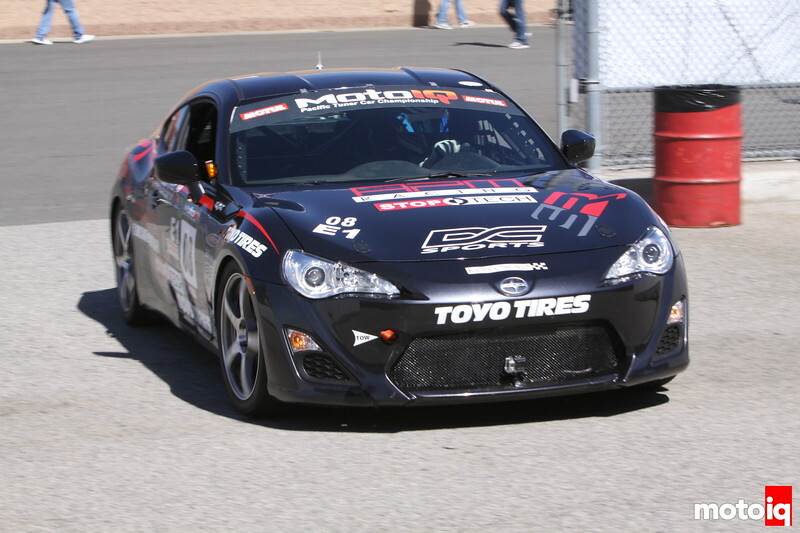 The Scion FR-S makes its MPTCC debut at Auto Club Speedway and with APM Racing. The car still runs the OEM engine and drivetrain. Can the FR-S make as big a splash in MPTCC as it has in Time Attack and Drifting? Where is Mike Kojima and his Super Sentras? Well, he's was here but not in race form or with his Sentras. Mike was in full support of the MPTCC Round 1. I also present a rarer gift, a normal picture of Kojima. Seriously, trying to get him to look normal on camera is like trying to take pictures of a skunk in the woods at night, it just doesn't happen. 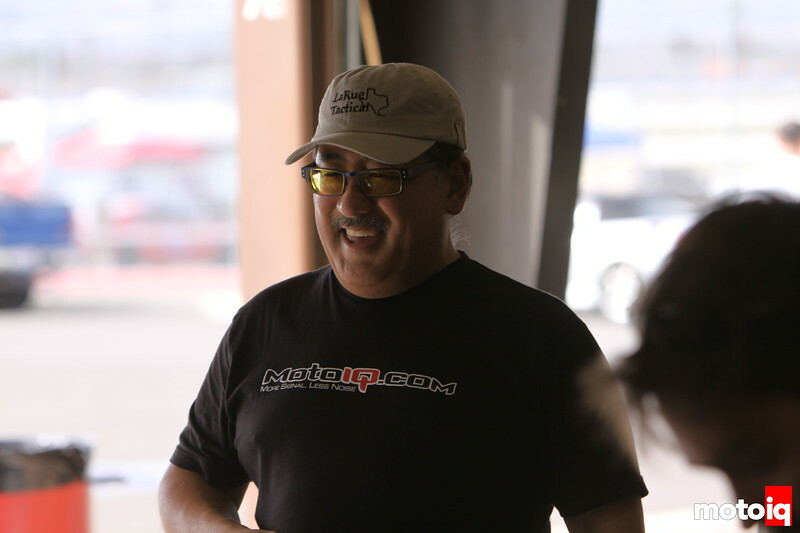 As with every NASA event, we were grouped with other racers of Honda Challenge and Performance Touring. At most every event, that meant tough passing through the field, but the other groups were well behaved and raced clean.